This product is essentially the same as the botanical drug HLXL which NPI manufactures for an ongoing Phase II clinical trial at the University of Maryland. In pre-clinical study and Phase I, HLXL was safe and beneficial in easing arthritic pain. 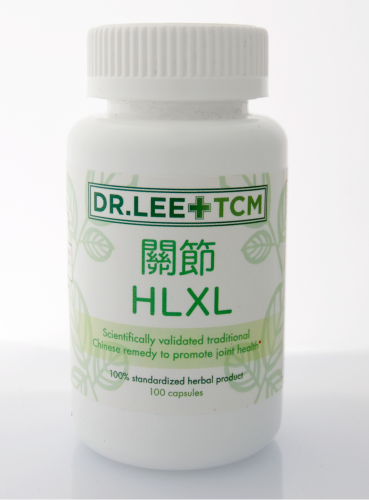 A classical Chinese herbal formula, Huo Luo Xiao Ling Dan, and its variants have commonly been used to treat arthritis, known as “Bi syndrome”. Consisting of four herbs Ru Xiang (Boswellia carterii Birdw. ), Mo Yao (Commiphora myrrha Engl. ), Dang Gui (Angelica sinensis (Oliv.) Diels. ), and Dan Shen (Salvia miltiorrhiza Bge. ), this formula’s main actions are believed to promote circulation, alleviate pain, and reduce swelling. We have modified classical Huo Luo Xiao Ling Dan according to the principles of Chinese herbology by adding eight other herbs commonly used for Bi syndrome and eliminating Mo Yao, which has the same function as Ru Xiang. We named this enhanced formula HLXL.